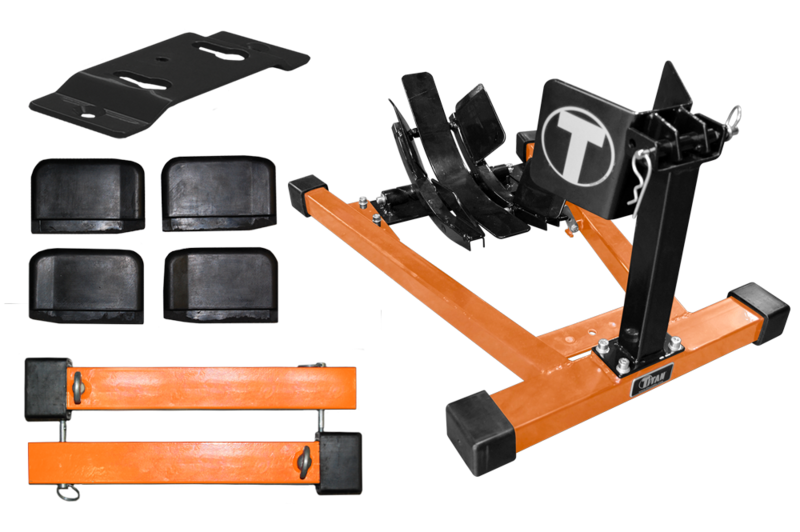 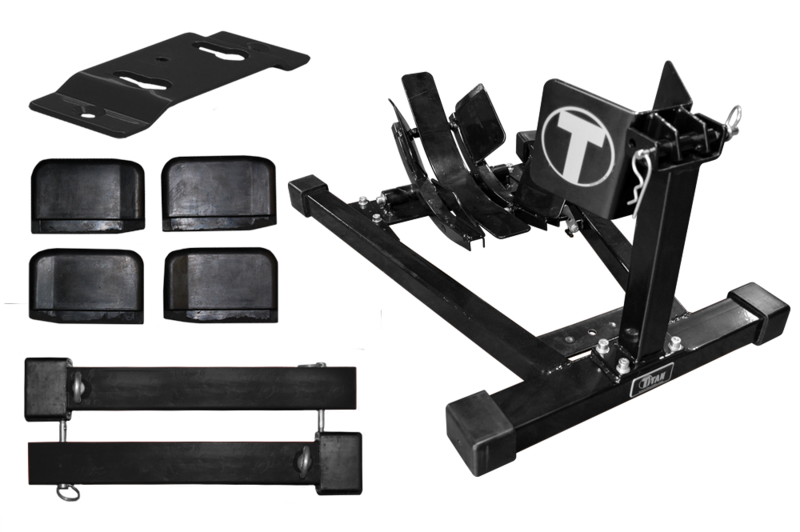 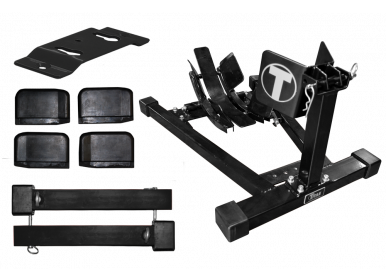 With its dual action EZ-Load rocking and Cam Clamping design cradle, this wheel chock is unique to all others on the market today. 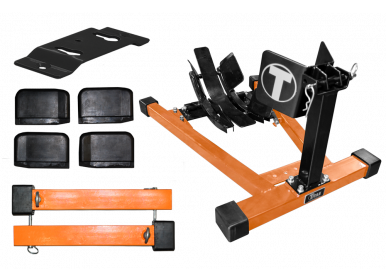 Perfect for holding bikes upright for towing purposes or space saving storage, the Bulldog is extremely secure and simple to use. 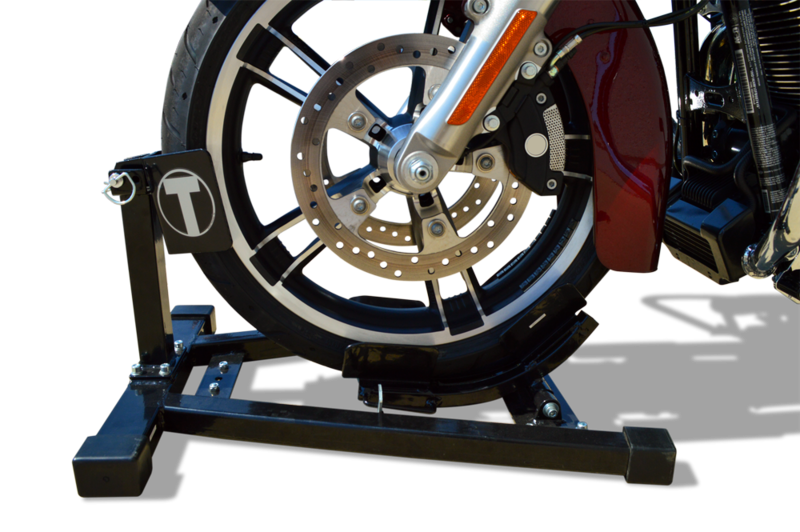 As your bike rolls into the chock, the rocking movement of the cradle allows you to effortlessly load the bike while it simultaneously clamps around the tire to properly hold it securely and in place. 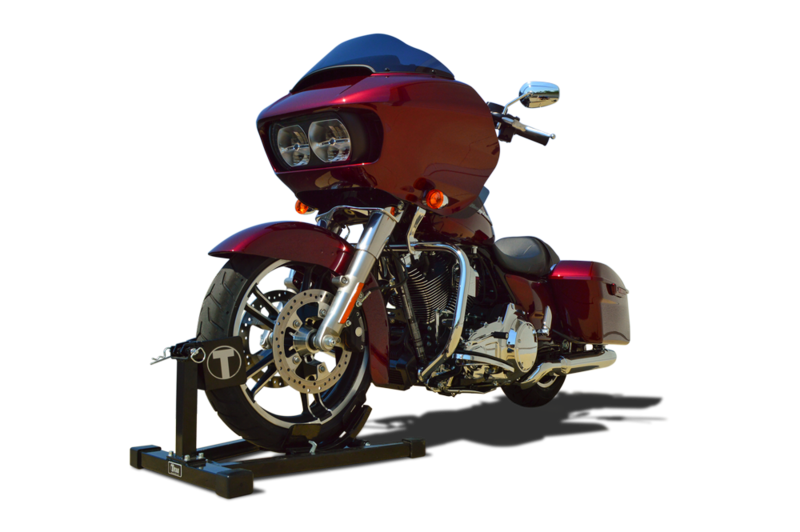 This heavy-duty steel constructed wheel chock has a safety latch to keep your bike safe and secure when loaded.